Fabulous Vegan Fusion at Madre Tierra!!! 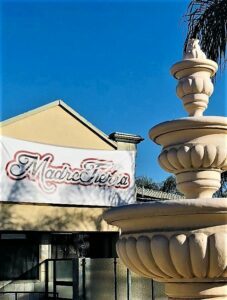 This restaurant is brand new and ready for you to come indulge yourself! 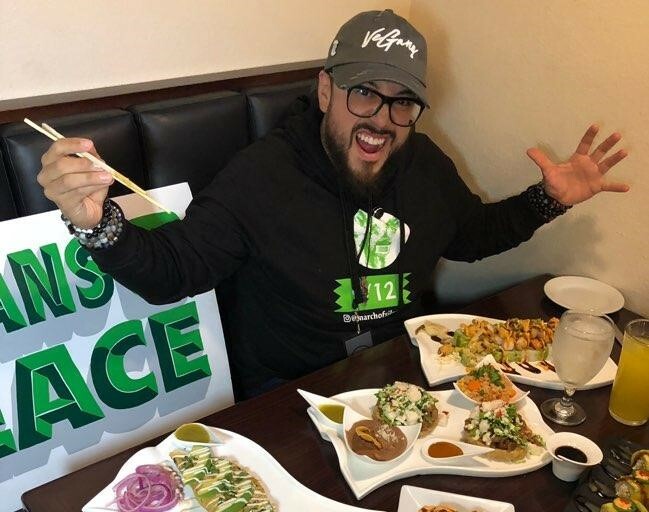 Join #LunchBreakLIVE today with Animal Activist and Social Media Influencer Cesar Asebedo (@we_are_all_everywhere_forever), known for being involved in many local projects, including the global movement March of Silence, plus The Save Movement‘s Los Angeles Animal Save and Animal Alliance Network‘s animal vigils, as well as Anonymous for the Voiceless‘ Cube of Truths. 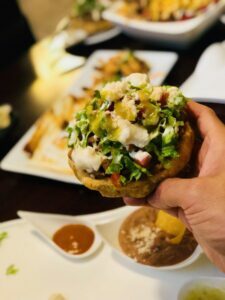 Today’s live lunch is at the newly opened 100% vegan Madre Tierra Restaurant Bar in Upland, California. 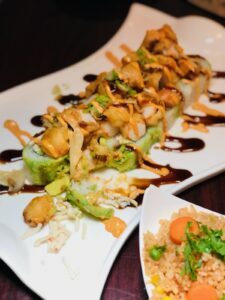 We’re enjoying the restaurant’s specialty handcrafted sushi plus their delicious Mexican food. It’s all vegan! Does sushi get any more appetizing than this?? Cesar is very involved in the activist community. He is a main organizer for the March of Silence group that held their first completely silent march for nonviolence on September 12, 2018. Cesar and his mom, Celia, were also instrumental in organizing Vegan Skid Row Thanksliving, where activists gave food and supplies to the homeless population on Thanksgiving. Cesar says you have to speak up for the animals. Whether it’s a post or a conversation. Tell people because the systematic torture of animals in the agricultural industry is unfathomable. The only way it will stop is if people take a stand for animals. Get involved in your community. Attend a vigil, march, protest, or cube of truth if you can. Promote eating compassionately on your social media. Speak up so that you can say you did your part to save the planet! Save some for us Cesar! We’ve never seen sushi or sopes look better. This restaurant has many other Mexican food items and all American food like veggie burgers. Today Paige and Cesar try a couple sushi rolls, sopes. 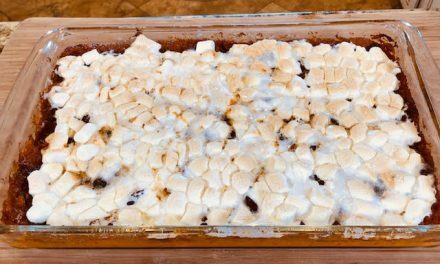 dessert and more! Where else can you get this variety of food? This restaurant is a definite must try. 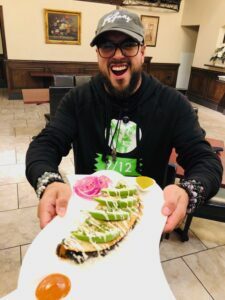 Cesar and Paige give the food two thumbs up, so come on by the next time you can make it out to Upland, California and try this amazing vegan fusion! 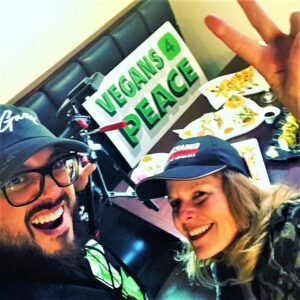 Paige and Cesar are definitely two vegans for peace! Follow The March of Silence on Instagram and Facebook. Attend a weekly vigil with Los Angeles Animal Save on Sundays and by Animal Alliance Network on Wednesdays. Connect with your local Save Movement chapter to attend a vigil and get involved. Attend a Cube of Truth with The Anonymous for the Voiceless chapter in your area! Photos courtesy of Paige Parsons Roache and Cesar Asebedo . This caterpillar roll looks insanely good! Cesar looks like he’s ready to dig in! 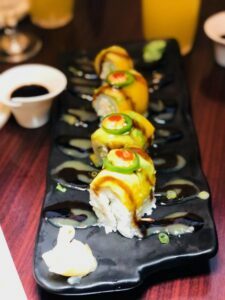 Where else can you get amazing sushi and traditional Mexican food under one roof?? 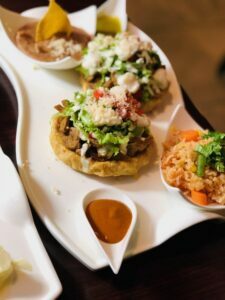 Take a look at this delicious sope up close! 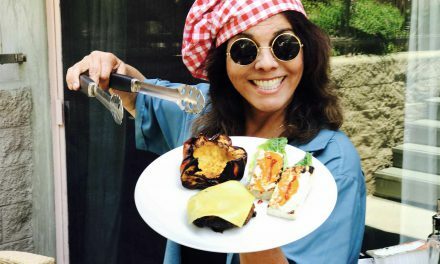 PreviousVegan Improv Tickles America’s Funny Bone! NextOne-Handed Vegan Wrap in a Flash! 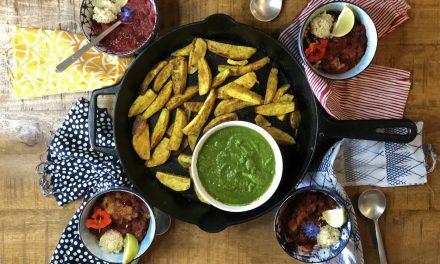 Spice up the Holidays with Vegan Cajun Candied Yams!